I've been wanting to photograph Savannah for a while. I felt like I needed to come up with a concept that was natural to her, something suitable. 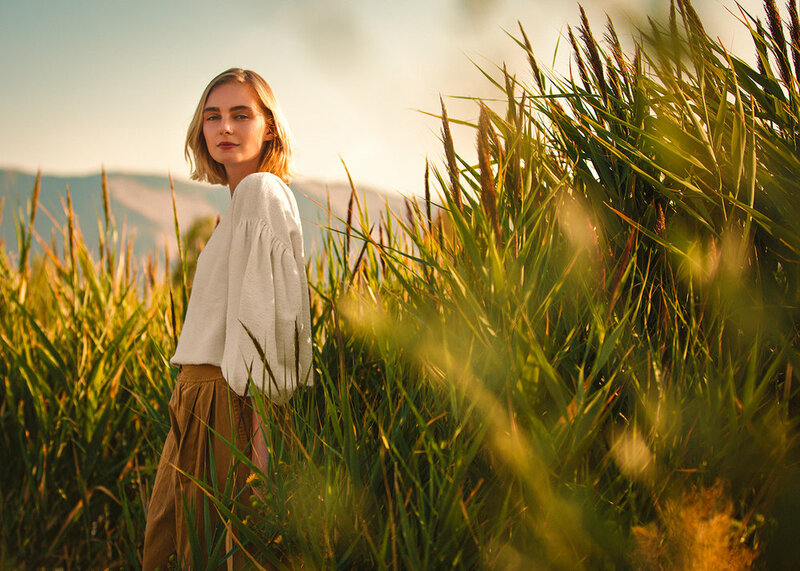 This shoot is all about warmth - the warm days of summer, the golden hour, and the natural feminine beauty. The landscape I chose provided a nice, non-distracting backdrop along with complimentary colors to the outfit from Free People. We did not work with a stylist of any kind, just the 2 of us.